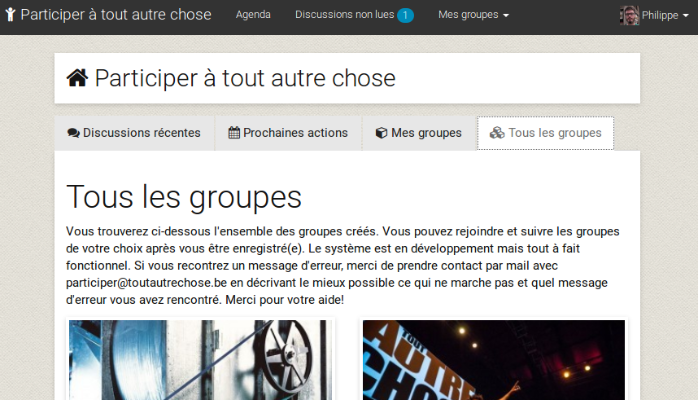 For the growing citizen initiative called “Tout autre chose” (which I’d translate as “And now for something completely different”), we were looking for a community tool. I looked around and didn’t find what we need in the open source offering. So I started coding a mix of forum, calendar & file management with group capabilities. Written with Laravel 5.2, this is my second laravel project. Discover, fork, enhance on github. Help would be tremendously appreciated since it’s currently a one man band.